Ninfield is a village and civil parish in the Wealden District of East Sussex. The village is situated 4 miles north of Bexhill-on-Sea, at the junction of two roads: the A269 from Bexhill to Battle and the A271 to Hailsham. The parish covers some 2,500 acres on the Weald. To the west of the village is Standard Hill, said to be the place that William the Conqueror placed his flag after the Battle of Hastings. As with many other Wealden villages, it was involved in the iron industry: that fact is commemorated by the presence in the village of a set of iron stocks. Smuggling was also rife in the eighteenth century. The village name is said to come from the fact that it was originally composed of nine and three quarter fields. The parish council consists of nine councillors. They put on several events, including a gala with professional cabaret, each year to raise money for nominated charities such as Alzheimer's and Sussex Ambulance. There are two churches in Ninfield: the parish church dedicated to St Mary the Virgin; and the Methodist church. There is a primary school, and a village post office and shop. There are two pubs in Ninfield - The Kings Arms and the Blacksmiths Inn. Ninfield was once featured in an episode of the classic comedy The Goon Show entitled The Nadger Plague and first broadcast by the BBC in October 1956. In the episode, set in the 16th century, the residents of Ninfield were left terrified when two carriers of the titular plague, which caused the seats of peoples' trousers to "burn out", arrived in the village. The episode was written by Spike Milligan, a sometime resident of East Sussex. 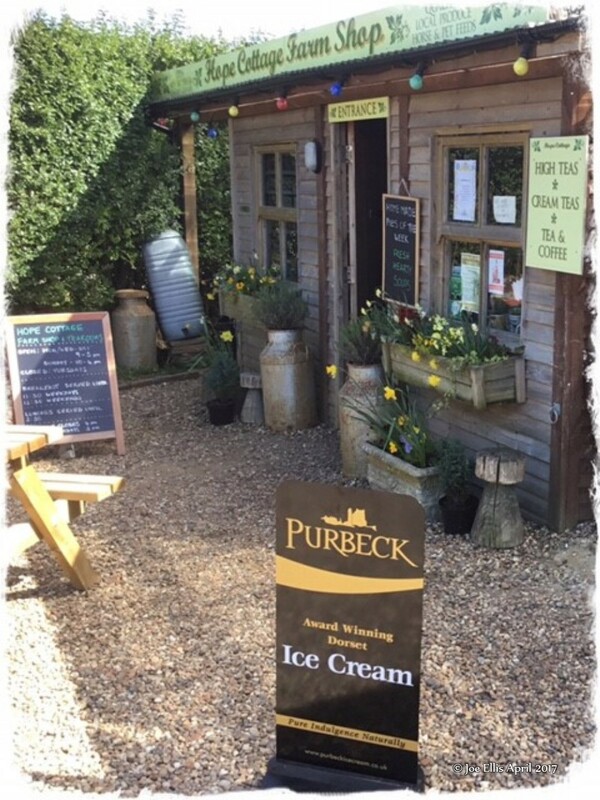 The tea room is nestled, unusually, inside a small farm shop. This ensures that the food offered is surely local produce and offers a range of tea room related food, cakes, and beverages. There was an elderly resident living alone in the house that adjoins this establishment. I took the elderly lady for tea, and she also enjoyed marmalade toast, my wife enjoyed a latte and a pasty and myself, of course, a pot of tea. There was savoury food offered and I treated the elderly lady to some home-made sausage rolls which were rather large, for her to have for lunch later in the day. A rather pleasant visit which I can recommend. Tons of free parking and a lovely nursery inside the same compound.